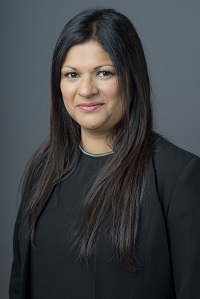 Shabeena's criminal practice includes both prosecution and defence work in the Crown Court. She has considerable experience in dealing with cases in all areas of serious crime including murder, violent and sexual offences, firearms, drug importation and supply, and fraud. Immigration practice includes appearance at all levels of the immigration court system including successful appeals in the Court of Appeal. Particular expertise in entry clearance and domicile cases. Many reported cases. Member of the South Eastern Circuit, the Criminal Bar Association and the Family Law Bar Association. Joint Head of Chambers' Management Committee and the Pupillage & Tenancy Committee. Lectured at the Inns Of Court School of Law on behalf of the South Eastern Circuit Minorities Committee. Interests: Shabeena's interests include drama, music, dancing, cricket and yoga.